Try telling Newcastle United’s red-hot strikers the League Cup isn’t a black and white priority this season. The candid admission from senior Newcastle officials that the Cups are below staying in the Premier League in the view of the Magpies board prompted sombre reflections about the club’s diminished status before the match. By the end of it, a few hundred excitable supporters were chanting about Wembley. Such is life at St James’ Park at the moment. This is developing into an unpredictable campaign and, after the tepid defeat against Hull, a strong Newcastle side bounced off the canvas to deliver a knock-out blow to a spritely Leeds side. After the defensive mistakes on Saturday, they looked teak tight at the back last night. The strange and twisting narrative of the season so far has taken those kind of turns. For all we worried about Newcastle’s inability to land forward reinforcements in the summer, their strikers have now contributed all four of their last goals – with Papiss Cisse opening his account in predatory fashion. Add in Yoan Gouffran’s brilliant second goal and a mature performance from the improving Sammy Ameobi and you might wonder what all the fuss was about in the summer. We all know better, of course, but Tyneside is always a more settled place when its forwards are finding the net. While it might not carry the tangible reward of three Premier League points, this was a crucial win for a Newcastle side still establishing its place in the natural order of things this season. If top flight survival is the only thing whch keeps that bottom line healthy, you can’t beat a cup run for sending morale soaring. The question of exactly where the League Cup stands in Newcastle’s list of priorities remains a live issue. News that the board had admitted at the first Fans Forum that Cups rank below Premier League survival was a stark reminder glory does not necessarily keep the creditors away. Pardew knows how important staying in the top flight is, but his team selection last night was hardly that of a man who regards the domestic cups as an irritation. After falling early in the FA Cup and failing to make much progress in the secondary knock-ut competition, he has faced accusations he doesn’t give these competitions the importance they deserve. Picking Fabricio Coloccini, Mathieu Debuchy and Papiss Cisse last night was a response of sorts to that. Of the eleven on the pitch, only Ameobi and Paul Dummett were genuine squad players and both performed with the sort of aplomb which made you question whether their selection can really be regarded as a risk anymore. The competition gets serious from here on in, and if tongues were firmly wedged in cheeks when the Wembley chants were reeled out they won’t be if Newcastle make it through their fourth-round engagement. 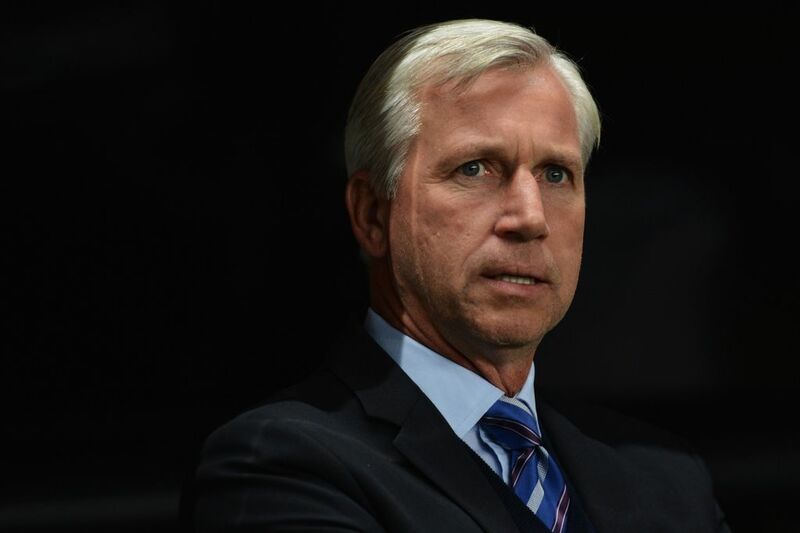 Having failed to progress past that stage in the domestic competition so far, Pardew will be itching to make the last 16. This was Leeds United’s first competitive visit to St James’ Park since 2004 and for all their fall from grace has been a grotesquely engrossing sideshow for supporters brought up to dislike the White Rose’s least popular export, their return delivered a real competitive edge to the evening. The Capital One Cup might have been talked down by United’s bean counters on Monday night but there is something about St James’ Park under the bright lights which should not be so easily dismissed. It helps when the opponents are as eager as Leeds were. Some 6,000 of their supporters had trekked from West Yorkshire and they made a fearsome din. It went from the incorrigible – two verses in praise of Ashley – to the laudable when they hailed former Leeds and Newcastle midfielder Gary Speed. Whatever they were singing, it gave this the feel of a contest whichreally meant something. They also edged the first half proceedings as a strong United team stumbled in their bid to assert their top-flight supremacy over Brian McDermott’s side. Leeds moved the ball around with pace and poise and in Ross McCormack they had the brightest offensive player of the first half an hour. His ingenuity nearly crafted the opening goal of the game when he advanced on the Newcastle defence and struck the crossbar with the deftest of chips which had Tim Krul well beaten. The height of McCormack and youngster Matt Smith, spirited away from Oldham in the summer, was giving United’s back four reason to worry. The former, in particular, posed the first serious questions of Mathieu Debuchy’s recent resurgence with his smart movement and burly presence. However, United were brushed by the sort of Premier League poise missing from the visiting line-up and with their first genuine chance they made Leeds pay for their profligacy. Ameobi had been a typically enigmatic figure on the left of midfield but when he linked up with Dummett on the half-hour he produced a superb swirling cross which was met with force by Cisse to give Newcastle the advantage. Having earlier taken two ungainly swipes at the ball in the penalty area when a bit more poise might have brought him a goal, he needed it. His celebrations – seeking out Ameobi to pay tribute to the cross – had the mark of a relieved man and Pardew must now hope his prediction a maiden strike will prompt more goals will come true. Leeds began the second half with similar intent and Smith, an impressive performer, headed wide of Krul’s goal as they continued to press. The game was over as a contest when Gouffran – who has improved markedly this season – twisted past Sam Wootton before smashing a drive beyond Paddy Kenny.